We want to let you know about an exciting change to the Certified Manager of Community Associations (CMCA) program! CAMICB has partnered with Credly's Acclaim platform to provide you with a digital badge for your CMCA credential. This badge is a digital representation of your CMCA credential, consisting of an image and metadata linked specifically to you. Digital badges can be used in email signatures, personal websites, digital resumes, and on social media sites such as LinkedIn, Facebook, and Twitter. When a homeowner, client, colleague, or prospective employer views your badge, they can learn more about your CMCA and the requirements that you fulfilled to earn it. They can also verify the authenticity of your CMCA directly from CAMICB. There is no fee for this service, and acceptance is totally up to you. We hope you'll take advantage of this new program to help demonstrate your achievement and accelerate your career growth. A digital badge is a visual representation of a credential, certification, or accomplishment. It is easily shared online in a way that is simple, trusted, and verifiable. Unlike a paper certificate, a single click on a digital badge will reveal a detailed description of the specific knowledge and skills required to earn it. Watch this short video from Credly's Acclaim platform to learn more. A LinkedIn study shows that profiles containing a digital badge or certification are viewed six times more often than those without. When you accept your CMCA Digital Badge, you'll gain access to Acclaim's labor market insights, a powerful online tool provided to help you navigate the job market. · Learn which employers around the world are looking for individuals with your skills. · Discover the salary you can expect in jobs that require your credential and the associated qualifications. · Explore new job opportunities associated with your CMCA and apply in just a few clicks. · Search for jobs by title, employer, location, and salary range. Watch the video Acclaim How To: Explore Labor Market Insights to see how easy it is to quickly discover opportunities in your market. The CMCA Digital Badge increases your value to peers, colleagues, and employers by giving them access into your professional credential with a single click. 4. Claim your badge and start sharing! To facilitate timely delivery of all notices pertaining to this program, please whitelist the email addresses info@camicb.org and Acclaim's noreply@youracclaim.com. Digital badges are web-enabled versions of a credential, certification or learning outcome which can be verified in real-time, online. We have partnered with Credly to translate the CMCA credential you've earned into a badge, issued and managed through the company's Acclaim Platform. The technology Credly uses on its Acclaim Platform is based on the Open Badge Standards maintained by IMS Global. This enables you to manage, share and verify your competencies digitally. Representing your skills as a badge gives you a way to share your abilities online in a way that is simple, trusted and can be easily verified in real time. Badges provide employers and peers concrete evidence of what you had to do to earn your credential and what you're now capable of. Credly's Acclaim Platform also offers labor market insights, based on your skills. You can search and apply for job opportunities right through the Acclaim Platform. Credly is the end-to-end solution for issuing and managing digital credentials using their Acclaim Platform. Credly works with credible organizations to provide digital credentials to individuals, worldwide. Within 10 business days of passing the CMCA examination, you will receive an email notification from the Acclaim Platform at admin@youracclaim.com with instructions and a link to accept your badge. How do I accept my badge? The instructions that you receive from admin@youracclaim.com will make it easy to log in to the Acclaim platform and accept the digital badge you've earned. Do I have to accept the CMCA digital badge when I earn it? No. Acceptance and use of your CMCA Digital Badge is completely voluntary. How long do I have to accept a digital badge that I have earned? There is no time limit to accept the digital badge; however, please refer to the below question, "Will my CMCA badge ever expire?" Will my CMCA badge ever expire? Your digital badge will remain active as long as your CMCA credential does. If you do not recertify and your CMCA expires, your digital badge will expire as well. If you reinstate your CMCA, your digital badge will also be reinstated. How will someone know that my digital badge is authentic? Your CMCA Digital Badge is linked to your profile on the Acclaim platform. 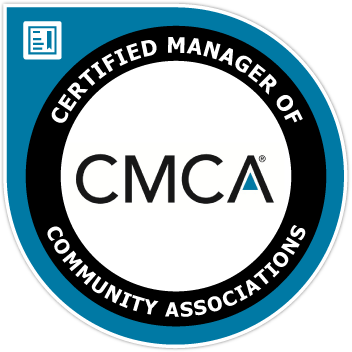 Each badge has a unique URL that will display your name and individual CMCA certificate number. What if I don't want my badge to be public? You can easily configure your privacy settings in the Acclaim Platform. You're in complete control of the information about yourself that is made public. Is there a fee to use Credly's Acclaim Platform? Can someone else copy my badge and use it? While badges are simply digital image files, they are uniquely linked to data hosted on Credly's Acclaim Platform. This link to verified data makes them more reliable and secure than a paper-based certificate. It also eliminates the possibility of anyone claiming your credential and your associated identity. Where and how can I share my badge through Credly's Acclaim Platform? Will I still receive a paper certificate? Yes. The CMCA Digital Badge is provided in addition to the paper CMCA certificate. What are labor market insights and how can I access them through Credly's Acclaim Platform? Labor market insights are pulled from live job requisitions. Based on your skills you can learn which employers are hiring, what job titles you might be qualified for, salary ranges, and more. Search active job listings and even apply with just a few clicks through the Acclaim Platform. Access the labor market insights from your badge details page by clicking on Related Jobs or by clicking on the skill tags assigned to your badge. How does Credly's Acclaim protect my information? You can find answers to frequently asked questions here: support.youracclaim.com. I can't find the email invitation to accept my digital badge. Who can help me get another one? Email your request for a new digital badge to CAMICB.